Harley Rouda: 3D-printed guns are coming to America unless Congress acts. But the NRA doesn't want them to. Harley Rouda 3D-printed guns are coming to America unless Congress acts. But the NRA doesn't want them to. Limiting access to so-called "ghost guns" and plastic guns should be common sense. But that's in short supply in Washington. 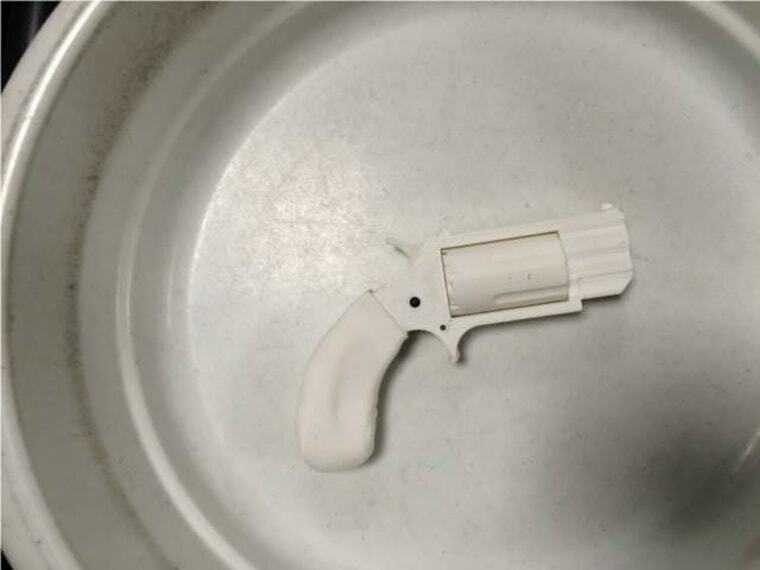 It took a federal judge and a temporary injunction on Tuesday night but, at least until next Thursday, it's not yet legal for anyone with access to a 3D printer, the correct materials and enough patience for a YouTube tutorial to print any kind of guns from the comfort of their own home. The last minute court ruling comes on the heels of a settlement between Trump's State Department — which had initially called the gun blueprints a violation of U.S. export law — and the Texas-based nonprofit Defense Distributed, which legally permits the latter to re-release the plans. In truth, probably only Congress, which declined to do so on Tuesday, can stop 3D-printed plastic guns from becoming a reality in America. But the only sound coming from Republican leadership on the issue of regulating 3D-printed guns is their efforts to block legislation to prevent the plans' release; the president tweeted only that he's "looking into it" and consulting the NRA. (Notably, in 2013, the NRA opposed any expansion of the Undetectable Firearms Act that would've made it illegal for individuals to create these weapons, so one can imagine how they advised him.) Sadly, at a time when members of Congress are being duped into enthusiastically endorsing fake programs that promote arming children and the president praises the NRA at their own convention, neither is a surprise. Meanwhile, the catalogue of guns was to include AR-15s and VZ-58s, a Czechoslovakian assault rifle. However, just as concerning as what these blueprints would allow people to produce, is what they aren’t required to produce: Guns with serial numbers. Serial numbers are critical in helping our law enforcement agents catch criminals. In 2017 alone, the Bureau of Alcohol, Tobacco, Firearms and Explosives (ATF) used serial numbers to trace guns over 400,000 times. Tracing serial numbers also helps ATF agents identify the methods by which firearms enter the illegal market, and informs their strategies to crack down on those criminal networks. There is absolutely no requirement for 3D-printed guns to be printed with a serial number and, in addition, there is no requirement for background checks in place for those who download or use the blueprints. It’s no surprise that, according to a spokesperson for the gun control group Giffords (named for founder and former Rep. Gabrielle Giffords), criminals have started using untraceable guns, known as “ghost guns,” as a way to circumvent assault weapon regulations. The State Department’s decision to settle with Defense Distributed was reckless, opening up the potential for anybody without a background check — including terrorists, convicted felons, and domestic abusers— to print untraceable death instruments from home. So now we need our elected leaders to step in, pump the brakes and implement common-sense solutions surrounding 3D-printed guns. Anything less wouldn’t just be irresponsible, it would be a gross moral failure. It will take Congress to act; it's clear that a Republican-led Congress will not, regardless of what their constituents think. As a first-time candidate for federal office, I’ve been on the road speaking with constituents face to face. These conversations have taught me three overwhelmingly clear lessons on the issue of gun safety. First, no community in America is immune from the gun violence epidemic; California’s 48th congressional district, where I am a House candidate, is no exception. Just last year, a man was sentenced for walking into a Seal Beach hair salon in 2011 with a firearm, taking the lives of eight innocent people, and injuring one more. Additionally, no episode of gun violence happens in a vacuum, as the suffering ripples in a way that is felt many times over. Take last year’s Las Vegas shooting as an example. I have been shocked by the number of folks I’ve spoken with in my district who knew someone — a friend, a family member, a teacher, a colleague — who was either injured or killed that night in October 2017, and that shooting happened 280 miles from the epicenter of California’s 48th. Finally, at a time when most people don’t agree on anything, most people agree that we need stricter gun violence prevention laws. An Ipsos/NPR poll released earlier this year showed that three-quarters of Americans think there is an opportunity to make our prevention laws safer. Fully 72 percent of Americans support banning assault weapons, and 94 percent support strengthening current background check laws. Gun violence isn't a political issue. It's a human rights crisis. Thus, the unregulated manufacture of 3D-printed guns are a clear step in the wrong direction, and defy the people’s will for safer gun violence prevention laws. I recently spent a weekend on the streets of Huntington Beach, marching side by side with the brave survivors of the Marjory Stoneman Douglas High School shooting. I was honored to join these inspiring young visionaries, who understand something our elected leaders don’t: The time has come to stop using people’s lives as a political fundraising tool, and to work together to find common sense solutions that keep deadly weapons out of the hands of dangerous individuals. Congress needs to regulate blueprints for and the production of 3D-printed guns or, at a minimum, hit the pause button until we have common sense laws in place. Simply stated, the laws covering the manufacture of traditional guns need to apply to the creation of 3D guns as well. That means we also need mandatory background checks for all gun buyers, including online, at gun shows, and for all 3D-printed guns. We need to prevent all convicted domestic abusers from buying guns, or printing them, and finally close the so-called “boyfriend loophole” in the federal law prohibiting gun possession by domestic abusers which usually does not apply when the victim is not a spouse. Harley Rouda is a successful businessman, philanthropist, attorney and tech entrepreneur who is running for Congress in California's 48th congressional district.